The first MyBB style with alternating categories. 4. 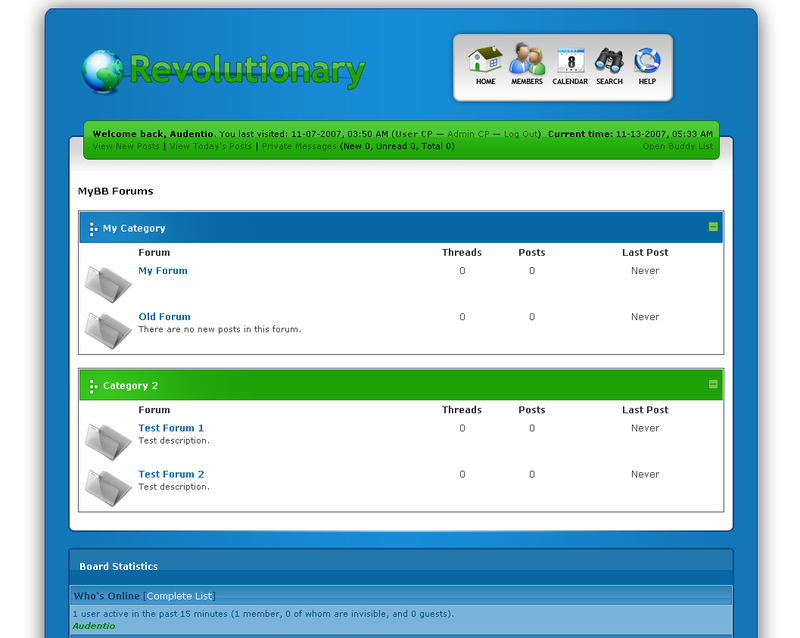 View it in your User CP > Edit Options > Board Style > Revolutionary. Thanks, hope you enjoy this theme.